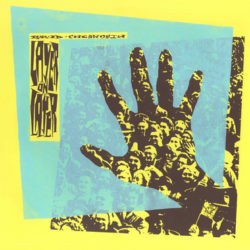 Chapter Music presents a vinyl reissue of Australian post-punk icon David Chesworth’s mutant punk-funk second album, 1981’s Layer On Layer. After his revered 1979 debut 50 Synthesizer Greats (reissued by Chapter in 2017), David swapped the solo home-recorded synths for something very different – infectious, percussive art-funk weirdness. Aged 21, David recorded nights and weekends at the studio in his university’s music department, building Layer On Layer from the ground up, using non-instruments like telephone directories, cardboard boxes and car parts. He created an art-damaged sound world, driven by irresistible rhythms but emphasizing chance and experimentation. Robert Goodge, Chesworth’s bandmate in the celebrated Essendon Airport, contributes his trademark cyclical guitar, with Tsk Tsk Tsk’s Ralph Traviato on sax and other Tsk members Philip Brophy, Jayne Stevenson and Maria Kozic on backing vocals. Layer On Layer was the beginning of David’s investigations into rhythm, and remains one of his most striking works. His 70s/80s records and productions have become sought-after collectors’ items and DJ holy grails. Chesworth is now a renowned composer sound artist.